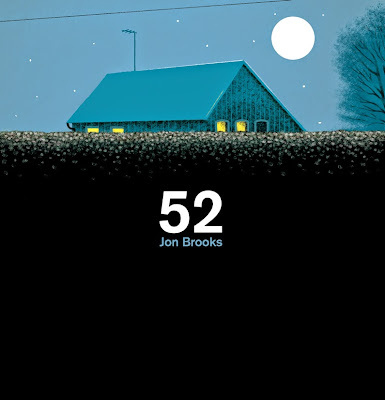 Clay Pipe Music: Jon Brooks '52' Evening Edition. Jon Brooks '52' Evening Edition. The second edition of Jon Brooks '52' is available now. This is exactly the same as the previous sold out edition except for the cover artwork. Jon Brooks returns to Clay Pipe after 2012's sell out 'Shapwick'. '52' sees Jon taking a gentle side step away from his Advisory Circle work for Ghost Box, into more personal and reflective territory. Inspired by his Grandmothers' house, synth-laden and atmospheric '52' contains 14 aural memories of the house and garden.